Rinehart Motion Systems has extensive experience in automotive and military vehicle traction and power electronics and produces the smallest, lightest drives for HEV propulsion in everything from tow vehicles to the pinnacle of motorsports. 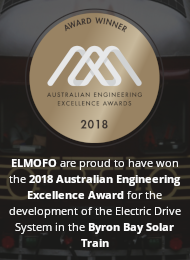 RMS has achieved a major breakthrough in integrating Traction Control into an electric vehicle. The PM family of automotive class traction control motor drives evolved from RMS’ proprietary Formula 1 based packaging technology and approach. These are the lightest, smallest sealed and automotive ready drives available anywhere. 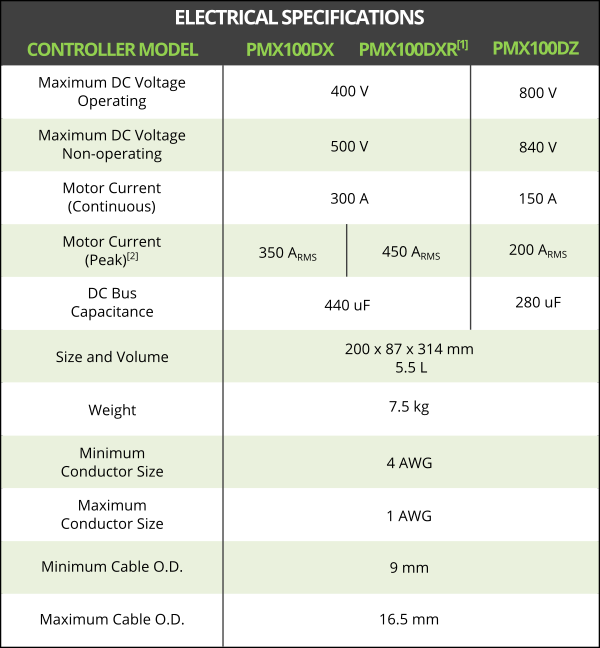 The Rinehart Motion Systems PM100DX is an AC Motor Controller designed for on-road and off-road Electric Vehicle (EV) or Hybrid Electric Vehicle (HEV) applications. The PM100DX Traction drive is fabricated using a patented high heat flux thermal design approach that dramatically reduces the size and weight of the finished drive and improves it's life in the automotive environment. 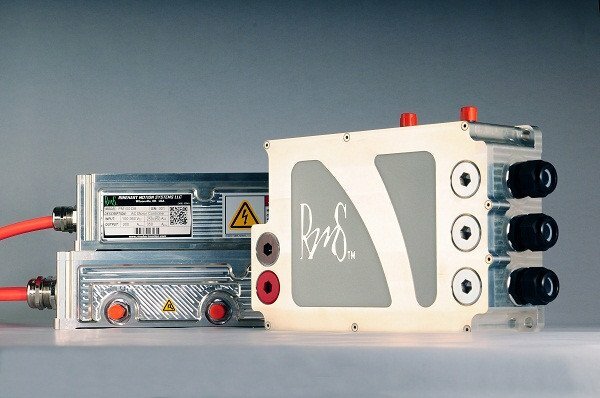 RMS offers several different models within the PM Family of motor controllers to suit the DC bus voltage and motor current requirements of your specific vehicle. 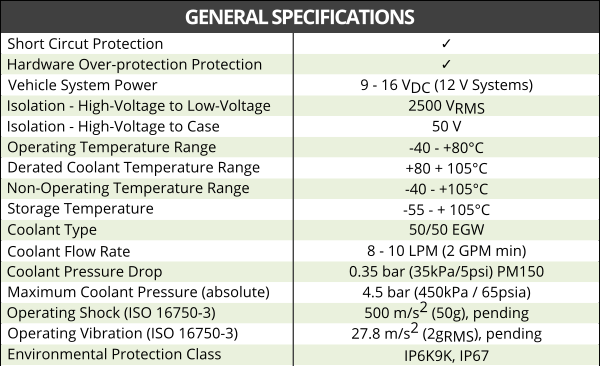 The PM Family has been designed to operate with many types of motors, including Induction Motors (IM) and Permanent Magnet motors (PMSM or IPM).